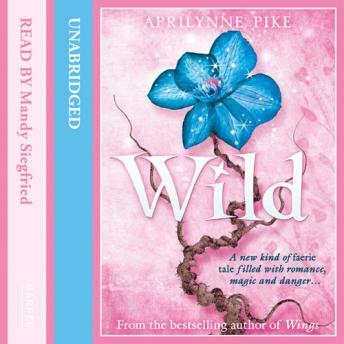 'WILD' IS THE UK TITLE TO THE US edition 'ILLUSIONS'. The third instalment of Aprilynne Pike's extraordinary faerie tale of magic and mystery, romance and danger, described by Stephenie Meyer as "a remarkable debut". 'WILD' IS THE UK TITLE TO THE US edition 'ILLUSIONS'. On the first day of Laurel's senior year there are two new arrivals. Tamani - the electrifying faerie with whom she shares an undeniable connection - appears, posing as a foreign exchange student. And even more disturbing is another foreign exchange student named Yuki whom Laurel quickly realises is a faerie, though the new girl doesn't seem to have any idea who or what she really is. Laurel is determined to figure out how Yuki fits into the picture, and what connection she may have to the ever-increasing threats to her family and Avalon. Meanwhile, Laurel struggles to maintain a balance between her human boyfriend David and Tamani, with whom she shares a passionate past. But balancing two worlds is becoming more and more complicated. When the threat to Avalon grows ever stronger, Laurel's illusion of control of the situation shatters and she must confront a danger even greater than the trolls.